Being pregnant can be super exciting, and incredibly overwhelming. There are a million things to think of and a million more things to buy. At the end of it all, you won’t need half of these things and will wonder what you were so stressed about to begin with. One thing you can be sure you will need, is a new wardrobe of maternity clothes. There is absolutely no doubt that you will start sprouting a beautiful preggy belly. Unfortunately, your clothes won’t agree with your new look and wont button or zip up like they used to. 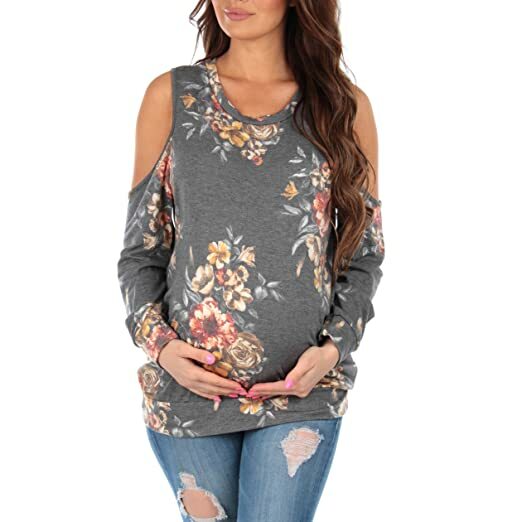 Luckily for you, we don’t live in the dark ages anymore and there are some really stylish maternity clothes for moms-to-be that are both comfortable and pretty. Have some fun shopping around and finding the outfits that suit your look and celebrate your bump! Nobody can resist a little bit of self-spoiling. You need to start with the basics when kicking off your new maternity wardrobe. This versatile tank top can be worn on its own or can be used as an under-garment in cooler months. It comes in various colors, but black is always a good choice. It will fit from the beginning of your pregnancy and grow along with your belly, stretching as needed. You will even be able to use this top post-partum, making it really worth the money. This is just the perfect, pretty top. To be honest, most moms would buy it even if not pregnant! 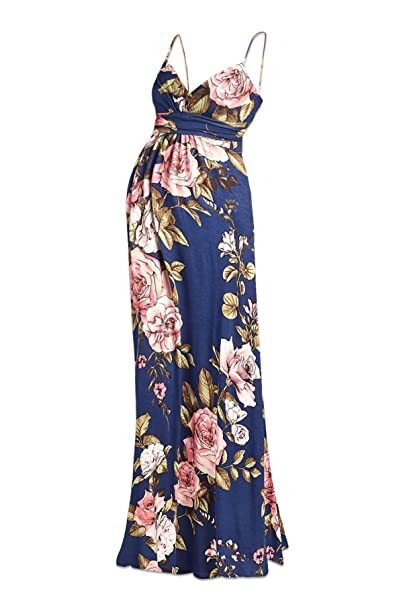 The floral pattern brings out your pregnant glow even more and helps make you feel a little more beautiful, especially in those last few months. 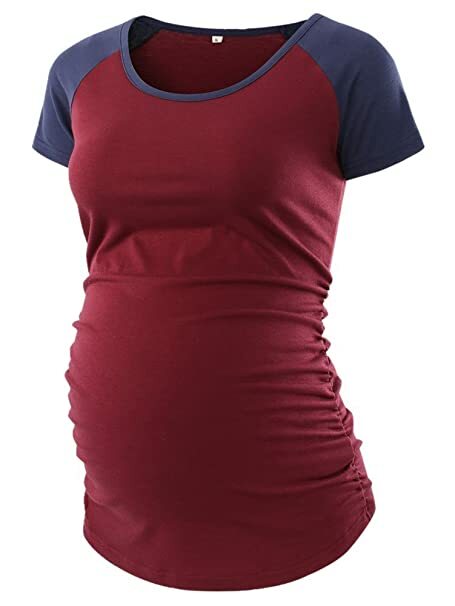 The stretchy, breathable material means it will be absolutely comfortable during pregnancy, and looks great thrown on with just a pair of jeans. The arm holes add a delicate dimension, and help with the loose fit. The world around you doesn’t come to a stand-still when you are pregnant. Friends get married and special events pop up. Dressing up for some special occasions can be a bit scary, especially when you have a new beach ball shaped belly. 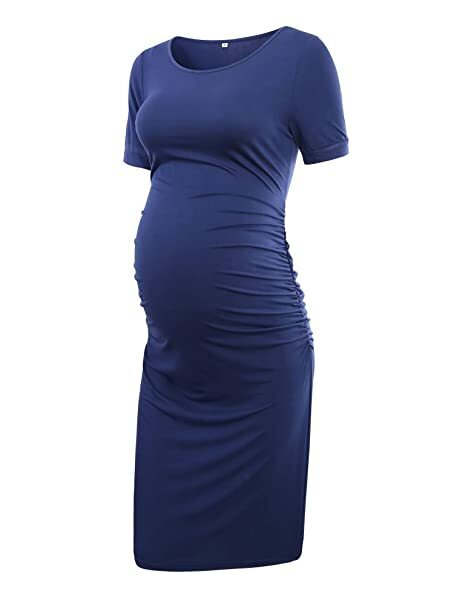 This sleeveless two color maternity dress is exactly what you need for these events. It has a beautiful flow and can be worn on a fancy occasion, or even dressed down as a beautiful day dress. Sometimes, nothing makes you feel better than a pair of good fitting skinny jeans. Being pregnant doesn’t mean you have to give these up. 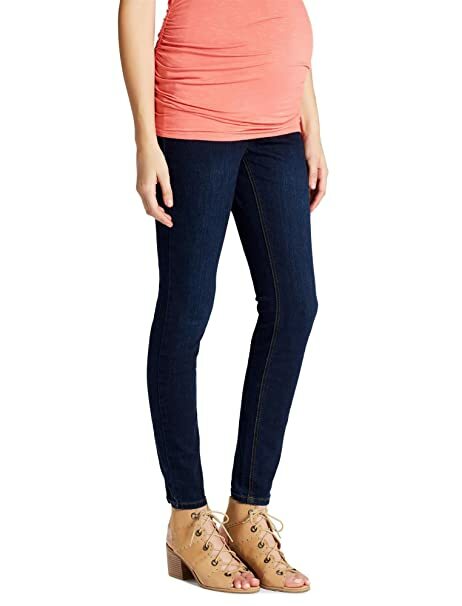 These dark toned skinny jeans will fit your tummy as it grows. The spandex belly insert can be pulled up to cover your belly, and keep your jeans up. It is the perfect base to any outfit. 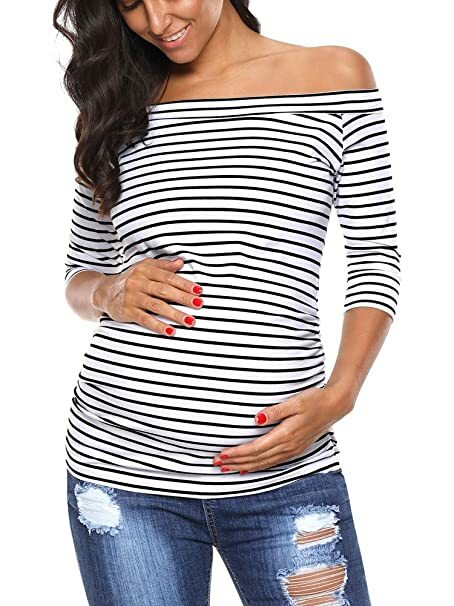 An off the shoulder top can make anyone look amazing, even when you feel like pregnancy has sucked the life right out of you. This comfortable, stretchy material will give you enough room for growth, but still be a stylish slim fit. Throw it on with a pair of maternity jeans and you are ready to go. This dress really needs no convincing. It is the perfect pick-me-up dress and will make you look like a pregnant goddess. Celebrate your new mommy-body with the floral pattern and form fitting, comfortable fit. If girly and floral isn’t your thing, then this baseball tee definitely is. As basic as it is, it can be a lifesaver when you just need a no-brainer shirt to throw on when going out. You’re not always going to feel like getting glammed up, and this comfy, form fitting shirt will be exactly what you need in those moment. Why not order a few colors for some variation. Dressing right for work while pregnant can be tough. Some work environments are quite sticky when it comes to dress code, and this can complicate things for pregnant moms. There are clothing items out there that are professional enough to wear to work, but still offer the comfort and support that maternity clothes need to. This blue wrap dress is perfect for the office and is easily paired with smart shoes. 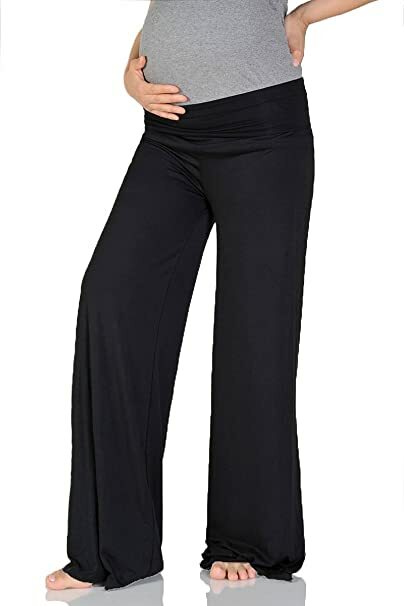 You will never need a comfy pair of pants as much as you will need during pregnancy. These are the perfect pair! The loose fit and soft material will be just what you are looking for when you are sick of tight pants and uncomfortable clothes. Throw these on, sit back and relax. Paired with the right top, they can even be worn out! This pretty little wrap dress is perfect for any occasion. The waist belt tastefully accentuates your beautiful bump. Paired with a set of pumps and a cute necklace or bangle, it is a stunning outfit to wear to a get-together, or even your own baby shower. Adjust the waist belt to your growing belly for comfort, and it can be used after pregnancy as well. Make yourself feel gorgeous and comfortable throughout your pregnancy. There are many affordable, but stylish options out there for when creating your new wardrobe. You will thank yourself for making pregnancy that much more comfortable, and enjoyable. Nothing quite beats looking and feeling good with a pregnancy glow.